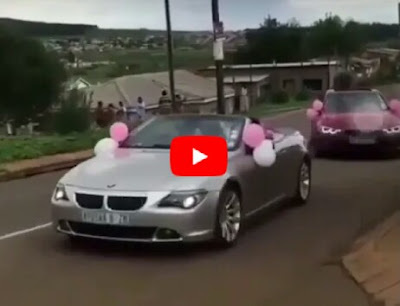 Whatever makes you happy on your special day. 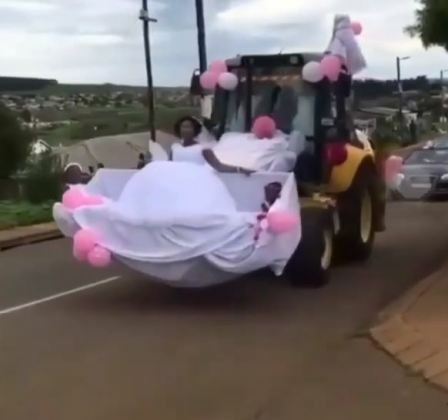 A newly wedded couple stunned onlookers after they arrived their wedding venue in a monster caterpillar truck. The bride sat with her flowers girls inside the truck, acknowledging cheers. Social media users have suggested that maybe the husband runs a construction firm, hence they decided to organize a ‘Constructors’ themed-wedding. Other decorated exotic cars were seen escorting the wheel loader at the back.